CMS (Centers for Medicare & Medicaid Services): The United States Department of Health and Human Services administers Medicare, Medicaid, and the Children’s Health Insurance Program through this branch of the government. Have a great degree of power and influence across all branches of medicine. EDI (Electronic Data Interchange): The new method of electronic billing using electronic data to move claims from the provider to a clearinghouse which then distributes the electronic data to government and contracted payers. EDI is not presently fully integrated in all platforms of payers, including most TPL sources for medical reimbursement. EOB (Explanation of Benefits): This is the standardization of explanations on how a claims are paid by the payer/insurance company. The EOB will provide an outline of which billed services were covered and which were denied. It will also detail the reimbursement rate for each service. Each payer has its own EOB form. HIPAA (Health Insurance Portability and Accountability Act): The new privacy law changing medicine across all platforms. The Act is also called the Privacy law or Privacy rule. 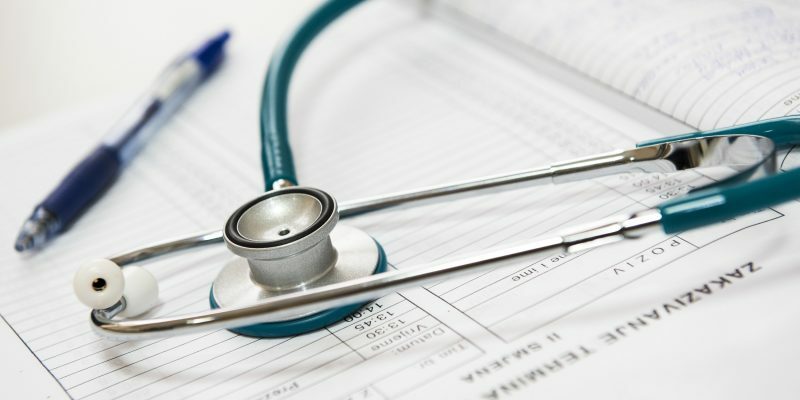 The law sets our specific requirements for medical billing companies, medical providers, clearing houses, and all others touching or utilizing “protected health information“ (PHI). Most often used in acronym form HIPAA also requires that patients have access to their own medical records. HMO (Health Maintenance Organization): This organization is created to control health costs by distributing risk across a large platform and controlling costs using tighter health management techniques to avoid unnecessary medical intervention. The HMO will use the patient’s primary care physician (PCP) as the “gatekeeper” before permitting non-emergent medical intervention. Instead of determining which subspecialty a patient needs to go to on their own, the patient must obtain permission to see that subspecialist through their primary physician. Without the primary physician’s blessing the HMO is not liable or responsible to pay for claims submitted by sub-specialist. Also, the primary care physician is only permitted to refer the patient to a sub-specialist who is a part of the HMO network and who has created a lower than market contracted rate for services rendered to HMO patients, which lowers the cost of medicine across the platform. INN (in-network): Depending on the type of health insurance coverage available, certain providers will have created a contracted rate with the health insurance carrier. That health insurance carrier can offer services in the form of an HMO and/or a PPO. In both cases the provider who has a contract will be considered “in network“ and by utilizing doctors who are in network the patient will lower their responsible portion of the medical services cost, and the provider will be paid less than the market rate pursuant to their contract, thus lowering the cost of medicine across the platform. OON (out-of-network): An out-of-network provider is a doctor who has not contracted with the patient’s insurance carrier. Depending on the patient and their contract with their insurance carrier, the doctor may or may not be paid at a greater rate than those doctors who are in network. Keep in mind, the out of network Dr. will not be listed in the insurance carriers book of available providers, but will not be bound by any contract between the patient and health carrier. Typically, out of network doctors are paid at a greater rate, but the patient also suffers by paying a greater portion of the medical services charged, and the cost of medicine across the platform goes up. PIP (Personal Injury Protection): Automobile insurance related to a state’s no fault insurance system. In almost all states utilizing a PIP system, when an automobile accident ensues the PIP coverage becomes primary to health coverage and other forms of payment. In some states Worker’s Compensation is primary before PIP. You must check your state regulations to determine which to bill first. In almost all states with PIP it is a significant payer, but it often has a limited pool of money and exhausts before the patient reaches maximum medical improvement (MMI). (This is not the case in Michigan which has unlimited PIP, and usually not true in New Jersey which adds up to $250,000 in PIP). When this occurs coordination of benefits between other third-party liability payers like bodily injury insurance (BI) and any liens attached to that insurance, as well as Worker’s Compensation coverage, and health insurance, must all be coordinated. POS (Point of Service): The point of service health plan is a hybrid between the HMO/gatekeeper model and the PPO/preferred provider network. Here the patient may choose sub-specialists without needing their primary care doctor’s permission as a condition precedent, but they must choose a specialist who is within the POS network or they lose coverage for the visit. Hey specialists will have a lower than market rate contract to provide services with the POS health insurance plan in place. This will help reduce costs across the platform. POS plans were created because so many patients objected to having what they felt was an insurance company doctor control their access to medicine. PPO (Preferred Provider Organization): The present health insurance plan that provides the most control two patients is the preferred provider network plan. This plan let’s the patient see any doctor they choose. There is a list of doctors who are considered in network and you have a contracted rate with health insurance carrier. All other doctors are considered out of network. The preferred provider plan will pay a percentage of each of those providers, whether they are in network or out of network. The providers who are in network will have a contracted rate and so the cost to the patient is less. The providers who are out of network will have a higher than market rate costing the patient more. Further, PPOs often incentivize patients into using in network doctors by providing lower or no deductible visits, especially for well care. WC (Workers’ Compensation): each state has its own Worker’s Compensation system. Those systems are usually run through the administrative agencies within the state. They are each created because of the U.S. Department of Labor program which requires injured employees are covered for medical costs, and lost wages related to work injuries. Whenever a patient injured through, on, or because of their employment workers compensation should be the primary payer. This includes, not only physical injuries, but psychiatric injuries and in some states repetitive stress injuries.